We have been drooling over this book for a while and we’ve been drooling some more since we got a copy in our sticky little mitts. This beautiful rhyme, created by Andrea Beaty, steers this fabulous tale on its meandering journey, scattered with highs and lows, accompanied by David Roberts iconic illustrations. David Roberts actually worked as a milliner before he found his true calling in children’s book illustration and it’s evident from the selection of head gear he’s chosen for this book, that he knows his stuff. There are some rather famous hats in here too, see if you can spot them. Madame Chapeau is a wonderfully creative, but lonesome woman. She lovingly makes the most splendiferous hats for all walks of life. Once a year she celebrates her birthday by adorning her special frilly dress and her favourite hat and ventures out to eat cake. But this particular year, a cheeky crow swipes her favourite hat. It’s clear that this hat holds much sentimental value to the lonely milliner and despite wonderful offers of an array of other hats, none will do. 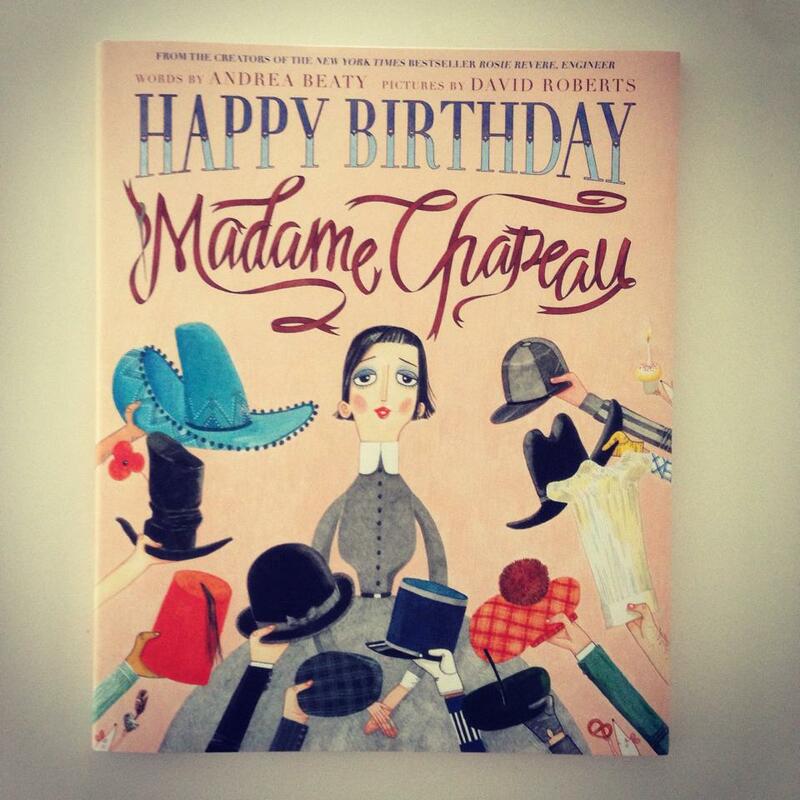 But what happens when an unassuming young girl makes a hat for Madame Chapeau? Go! Go on! Go and find out for yourselves. It’s a truly uplifting tale. This looks wonderful! Great review! Iggy Peck is a family favorite. I look forward to reading their latest.